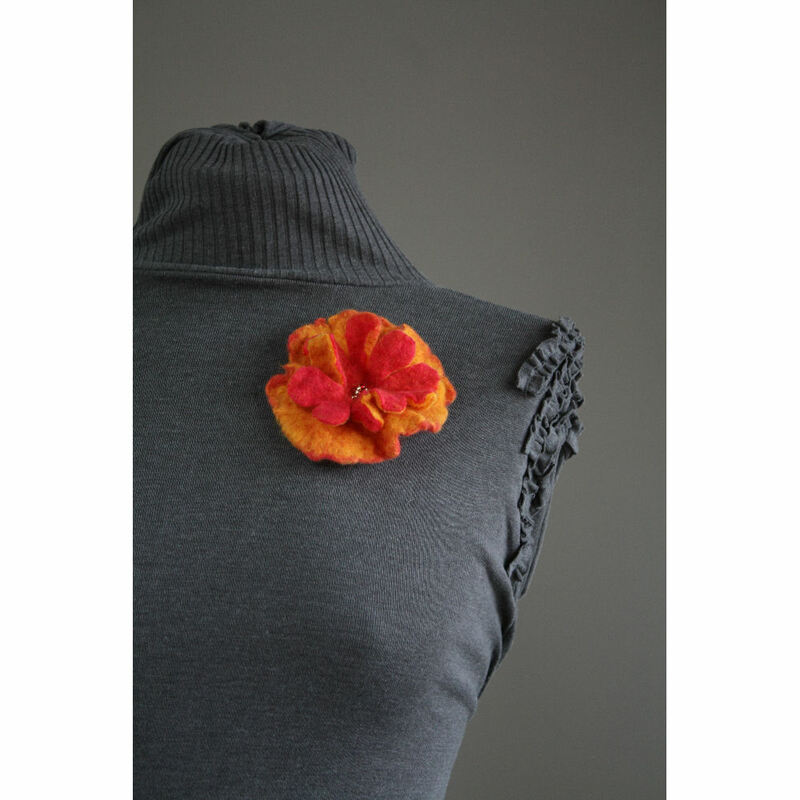 Orange Gerbera Felt Corsage. One off, hand made felt flower corsage. Made from pink and tangerine Merino wool fibres and decorated with seed beads; this piece has been inspired by the petals of a Gerbera. A cheerful and versatile piece. A metal brooch clasp has been sewn to the reverse side to allow this product to be securely worn. Approximate size 12cm across. Product code – FC ND OG 062011.